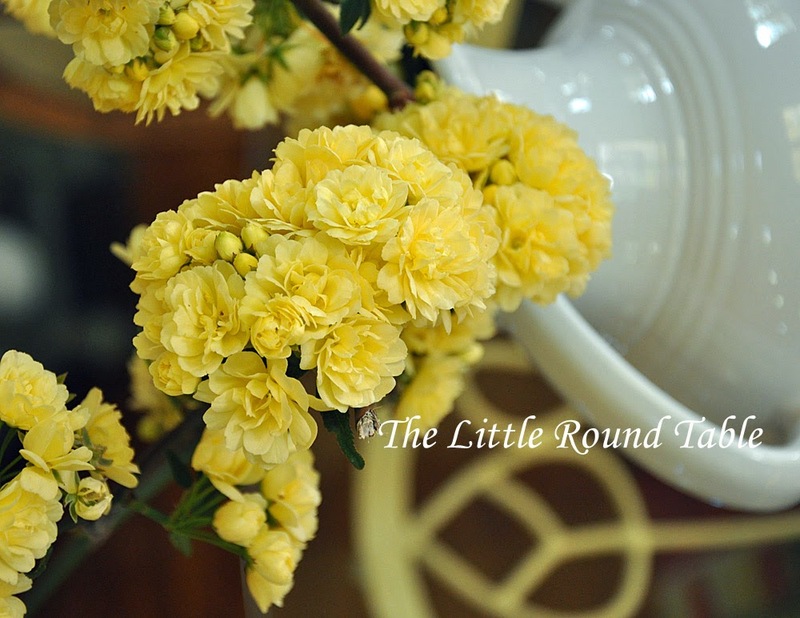 A little giveaway from The Little Round Table! sidebar and simply leave a comment on THIS post! so that you will have your prize in plenty of time for the holidays. I would "LOVE,LOVE,LOVE" to win that beautiful tablecloth! I AM a FOLLOWER!!! 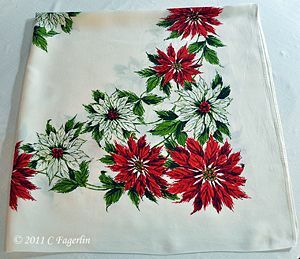 What a beautiful tablecloth and how kind of you to offer it as a giveaway, please enter my name in your drawing. Thank you for sharing all of your stunning table designs with us. Have a very Happy Thanksgiving! I'm a follower. Please enter me in your drawing for this beautiful tablecloth. 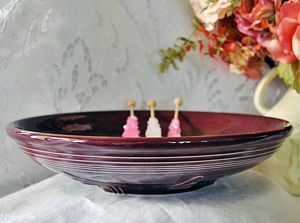 It's a lovely give away and I would be pleased to win it. Sweet! 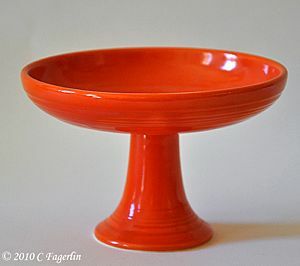 Would love to win this for my mother - she's got the perfect table for it! 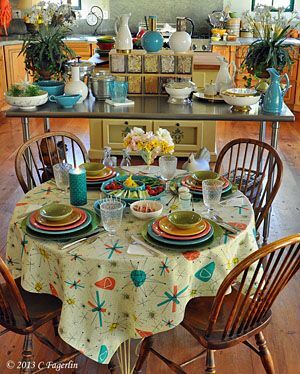 Oh my goodness...I'd love to win that tablecloth. I enjoy your blog so much. Your pictures are so pretty. I just signed up as a follower! What a fun tablecloth, I would be so excited to win this. I am a follower of you blog. Happy Thanksgiving. Well I follow you and I think I am a public follower on your sidebar but I didn't see me come up? Please let me know if I am not listed on there! I just love this cute little tablecloth and would love a chance to win it too! Thanks so much! I am a follower now, although I wonder why I didn't was already? I thought I signed in for a long time. This tablecloth is lovely and surely the winner can be happy with that. Nice idea to share a giveaway - Thank you. I would love - no LOVE - that tablecloth. I am a nutcracker fanatic. It's so perfect for the holidays. I thought I followed, but when I checked,, nope wasn't the case, but remedied that now. Thank you so much for the generous change to win this lovely creation. Oh my, I hope I win!! Oooohhh, Candy, I would LOVE to own this tablecloth!! I have just the right colors of Fiesta and accessories to do it justice. I will break down my table to accommodate the cloth, too!! You know I've been a Follower for a long time. Whoever wins this beautiful tablecloth will have received a wonderful gift! You are so generous to give it away! 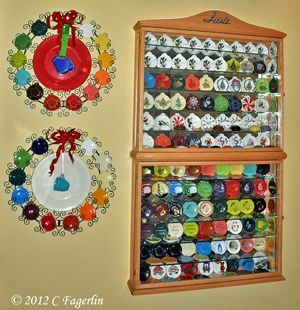 I have a collection of them that I put up every year that signals that the holidays are coming. I am a follower on your sidebar. And, I would love to win the giveaway. Please enter my comment in the drawing. Have a wonderful Thanksgiving Day. 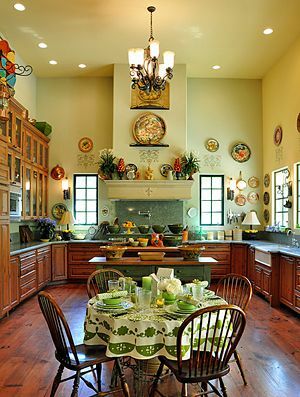 Candy, I'm a follower, and this tablecloth would be perfect for my new "little round table" in the breakfast area! So festive! Thanks for a great giveaway, Candy! It's a beautiful cloth! I am already a follower wohoooo!! 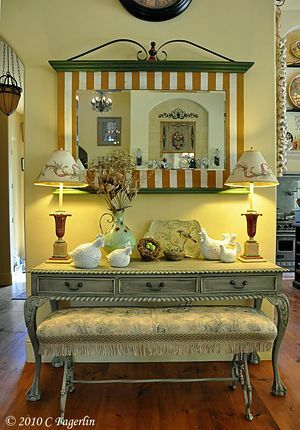 I wish that mantel would be mine it's just so pretty! Yes,I am a follower!! In fact, I would follow you anywhere for that table cloth!! Now is just hafta cross my fingers..toes...arms. 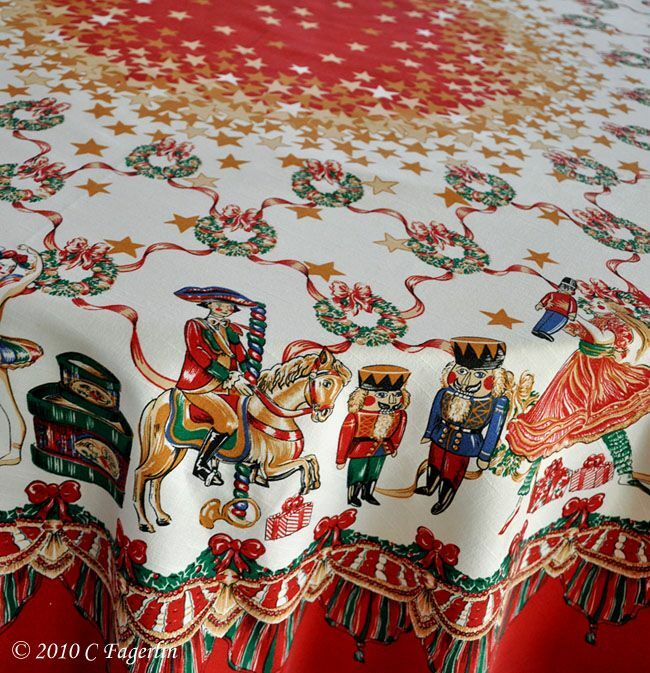 What a wonderful Nutcracker tablecloth, I absolutely love it! Please enter me, I'm a follower, have been for a while. 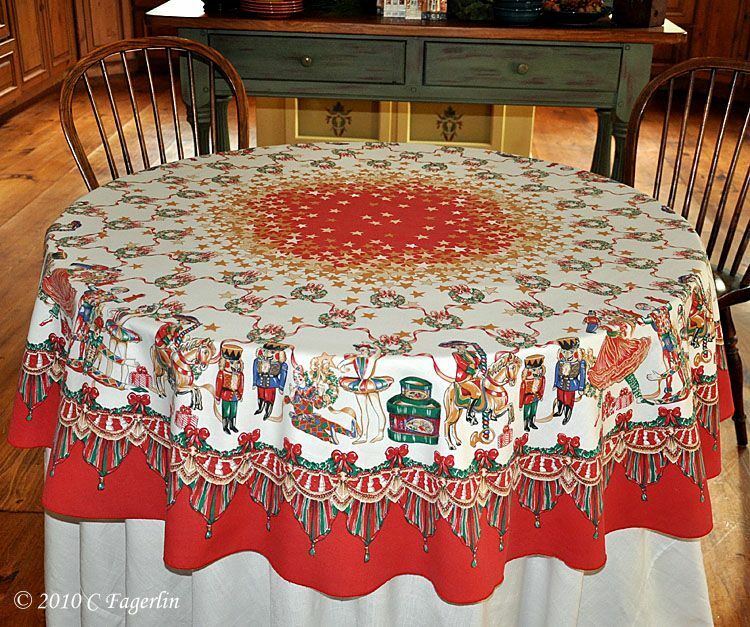 I'd love to be entered into the drawing to win this GORGEOUS tablecloth! I have 2 different tables, one upstairs & one in the lower level, where we're having appetizers on Dec. 16 when my tennis team celebrates here. Either spot would look wonderful with this decorative cloth in place! I am now a follower although I've had you on my Google Blog Reader for a long time. 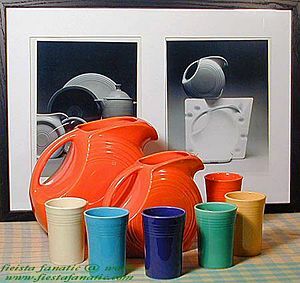 I ♥ seeing all your beautiful Fiesta-ware. Just yesterday, DD & I were out shopping for more to go on her Christmas table. She's been to the factory to buy her original sets. 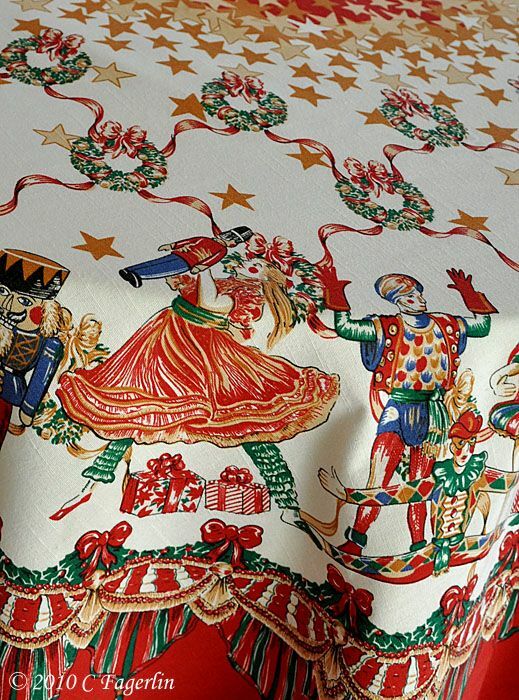 They are all going to see the Nutcracker Ballet on Sunday, so this tablecloth would be most appropriate! Thanks for the chance to maybe win it. I follow you! Thank you for having this give-away! what a wonderful tablecloth! How very generous of you! it has been ages since I have been able to actually have a lovely table. (almost constant construction on this old farm house...and special needs kids...now older) How terrific it would be to have this tablecloth to inspire the rest of the table! 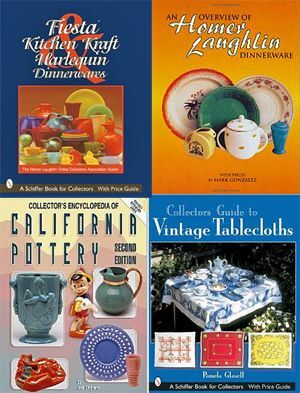 I am a public follower and am in awe of your collection of tablecloths and Fiestaware. Your blog is real Eye Candy (if you'll pardon the pun). 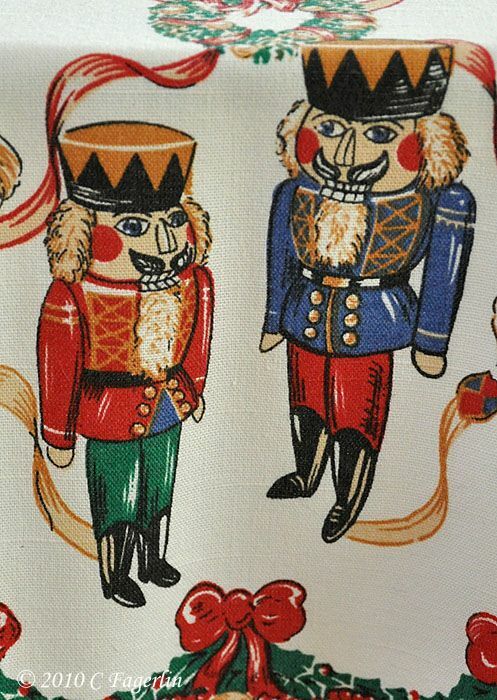 I love nutcrackers and just adore this tablecloth!!! 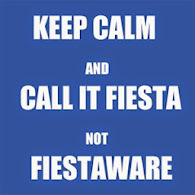 I am also a big fan of Fiesta. I have my dishes in a mix of rose and seafoam green. What a fun time it is to follow you. You amaze me with your creative tablescapes and yummy food. 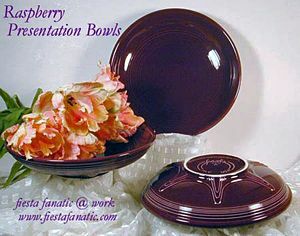 I always love to use "Fiesta" dishes, in fact, I used my Chocolate for Thanksgiving. Take a peek if you get a chance. What a beautiful tablecloth! I am a new follower. Thanks for the giveaway. 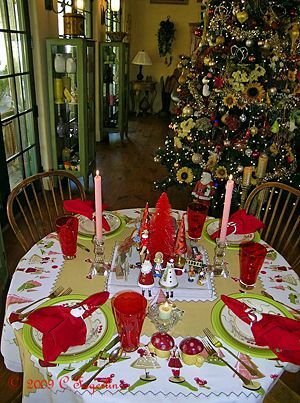 The tablecloth is so pretty - reminds me of many happy Christmases in Germany. I can imagine that my grandsons would have a very good time finding all the different nutcrackers! I'm a follower, and I'd love to be entered in the draw! What a beautiful tablecloth and so different. 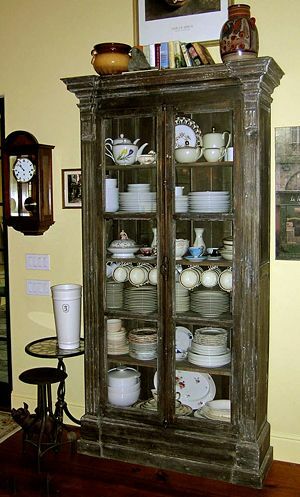 It would go perfect on my breakfast room table. I am a follower and would love to win. My kitchen table needs some holiday dressing...what a perfect touch! I am hoping that I will be lucky enough to win such a generous gift. Thank you so much, love your tablecloths and tablescapes! Hi. I'm a new follower. I found your blog a few weeks ago and just love it. I'm a new follower and what a wonderful tablecloth .. the Nutcracker is one of my favorite stories and music! Oh My, Candy...That Nutcracker Table Cloth is fantastic. I've collected Nutcracker everything for my GrandGal for Sixteen years. I have never seen a TableCloth. Please enter my name in the drawing. I've been a longtime Follower. I've been a follower for a long time. 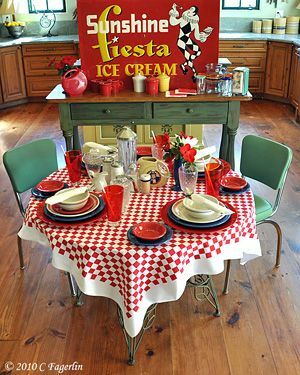 Glad I found out about this giveaway as I would love this tablecloth! It's gorgeous. What a beautiful, festive tablecloth! I'd love the chance to win it. I follow your blog publicly, via GFC. Hi! 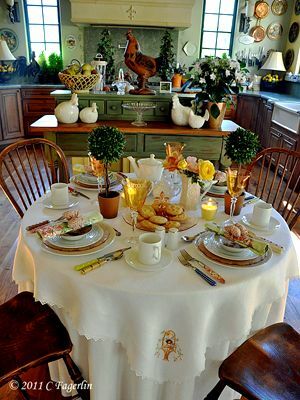 I found your blog looking for pictures of the William and Sonoma Rooster tablecloth. It's such an enchanting blog! 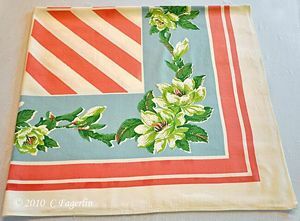 I adore vintage tablecloths and have found your blog a place where I could spend hours! Next time I visit, I'd better make myself a pot of tea! 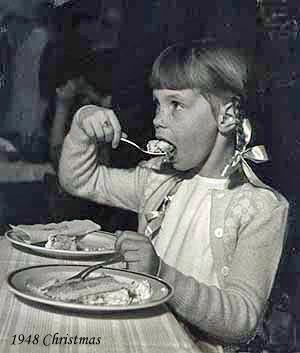 I just signed up to follow and would love to win this beautiful tablecloth. My niece has been in the Nutcracker as a young ballerina and she would be thrilled to see this! Just became a follower! Am enjoying all your tablescapes. I always enjoy coming by to see tyour tablescapes, but after seeing how simply you converted an image to a pettern I'll definitely be coming by more often to check out your other creatuve ideas. That sure would dress my little mobile home. Been a follower for awhile. I am decorating my holiday table with a candy/nutcracker theme. This table cloth would be perfect to accompany my theme. 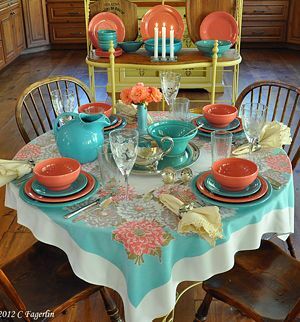 Beautiful and fun give away...I love the tablecloth...and was so happily surprised by the music too! Thank you.